Please provide us with your contact information to download your free catalogue. Please ensure you have filled out all fields. 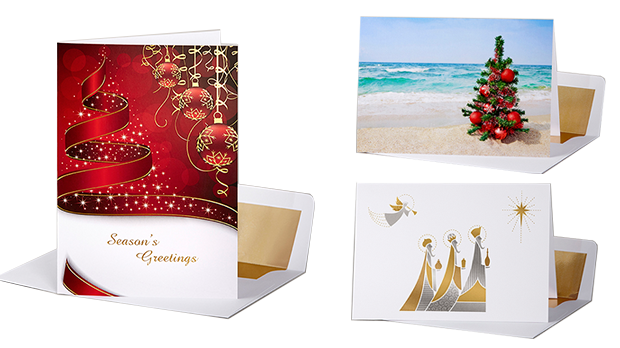 Auscard aims to provide you with stylish Personalised Christmas cards from our 2018 range of cards proudly printed and manufactured in Australia to the highest standards. Supplying quality Personalised Corporate cards to businesses we have built up an enviable reputation that sees many of our customers return to us year after year. 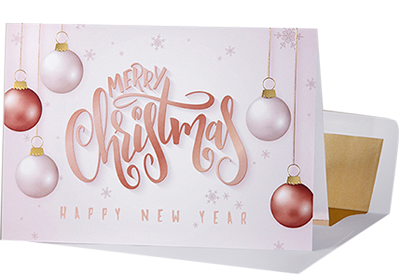 This year we are offering our biggest range ever of popular personalised cards helping you and your company make a great impression. Christmas cards sent in the mail, are guaranteed to be opened and can be viewed for many weeks. What other type of mailing can make such a claim? Our cards are easy to order with no Calculation required. 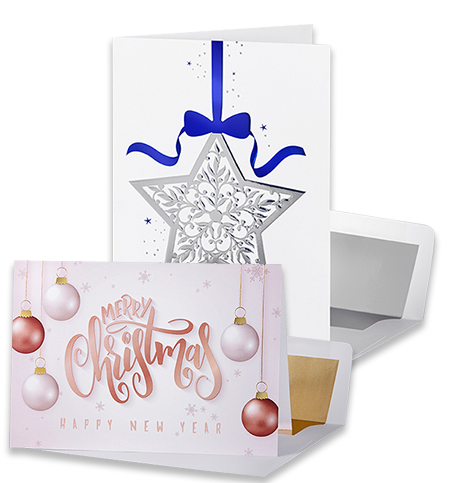 Our cards are an impressive 127mmx183mm P.O.P and the premium range come with luxury matching gold or silver foil lined envelopes. 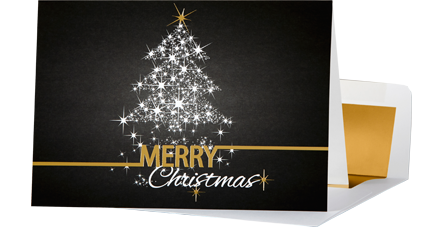 All cards are available with your choice of greeting, layout and typeface to make Christmas even more special. Auscard offers you the option of creating a truly personal card by having your design printed with your Company name on the front of 16 designs and add further impact by having your verse, Company name and or Logo and with signatures all printed in black or colour. Adding your Company name to the front of the cards couldn’t be easier. Imagine the impact your Company name on the front of a card would make when your Christmas card is received in the mail. We have 16 beautiful designs that can be personalised. The hardest part will be choosing which one! You can select a verse, create your own verse select a style, add your Company name and or logo. Signature’s may be added at no extra cost. 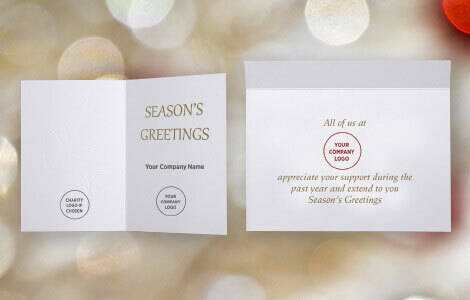 This service is designed to personalise your Corporate Christmas Cards you are sending to your customer. Convenient and quick, easy to do. We can print each customer’s name in the card above your personalised greeting. Add Signatures to save staff time signing cards (signatures at no extra charge.) Envelopes addressed with receivers Name and Address can include CARD ONLY and return address on the front of the envelope. Got a photo or design and you want to make it into a customised Christmas card? 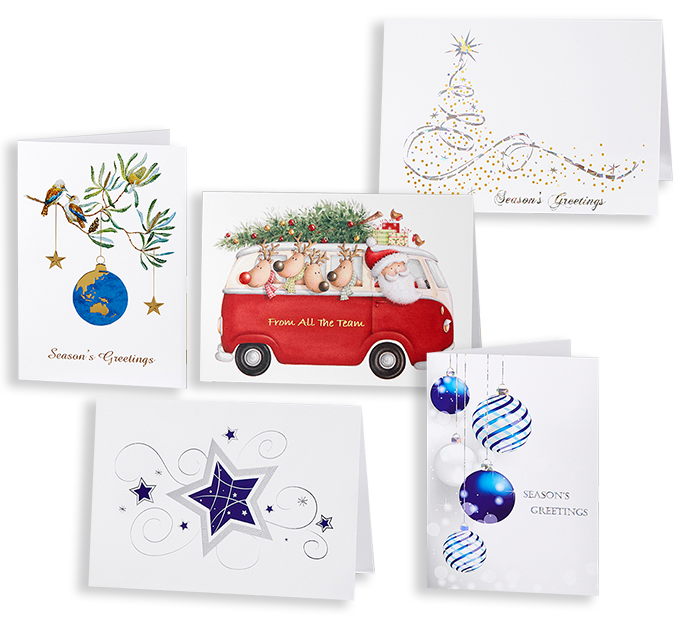 Auscard can turn your idea into your own Christmas card with your personal touch. Just a few easy steps and you will get a one of a kind card to make a special Christmas night. Would you like to see a sample card for quality, finishing and texture prior to purchase. Get yourself into the festive spirit with these quick and easy Christmas baubles.